The San Jamar 19NU-L pot and sink gloves provide heat protection up to 185 degrees Fahrenheit, so they are perfect for dish washing. They also protect the wearer from injury and chemicals. 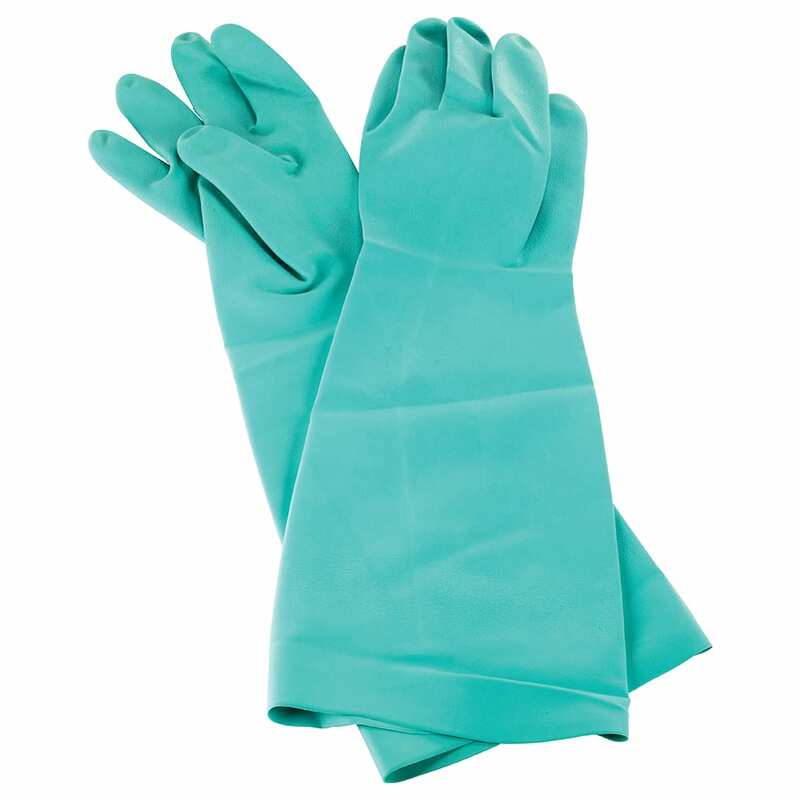 The gloves are made of nitrile rubber that is thick and flexible, so they offer durability and protection while allowing for easy movement. 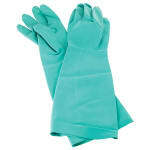 An embossed grip on the gloves makes it easy to pick up wet dishes. The cotton flock lining in the San Jamar 19NU-L pot and sink gloves provides comfort. "I work in the high school cafeteria and washing the pots and pans in super hot water was killing my hands with conventional rubber gloves. These..."
"I work in the high school cafeteria and washing the pots and pans in super hot water was killing my hands with conventional rubber gloves. These gloves are perfect long enough that you don't get wet and the water doesn't go down into the glove and they really do keep you from getting burned! Love them!!!"